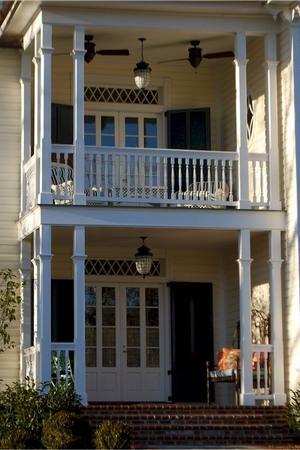 We believe strongly in preserving homes and structures to help maintain their historical look, retain the beautiful architecture of past eras, and remain a part of the community. Based in the historic town of Washington, Virginia, founded in 1796 and known as the “first Washington of them all,” E. Fletcher Construction has extensive experience in historical renovations and restorations. During the first half of the 20th century, many of the town’s architectural structures fell by the wayside or were not always maintained in the historical style. However, over the last decade, some of these buildings have been brought back to life and Eddie has personally renovated many of the historical structures in Washington, VA.
We welcome the opportunity to work on and understand the unique challenges of historical renovation projects. We work closely with the client, the architect, and the community, then carefully study the history of the building to learn more about what materials were used in construction, the time it was built and how it was built. E. Fletcher Construction maintains the integrity of historical buildings while incorporating sustainable, energy-saving systems. In order to retain the look and feel of the building’s original era, E. Fletcher Construction employs some of the area’s finest craftspeople who specialize in custom millwork and recreating period finishes and moldings. We are uniquely poised to install or replace the outdated systems of an older home with more energy-efficient ones – including solar power, geothermal heating and cooling, and premium insulation systems – to help the home or structure continue to withstand the test of time, while operating as an energy-efficient structure of today.